When a visitor enters the new home of Nguyen Thi Phuong (52) and Ha Tat Te (56), the first thing the guest may notice is a photograph hanging by the front door. 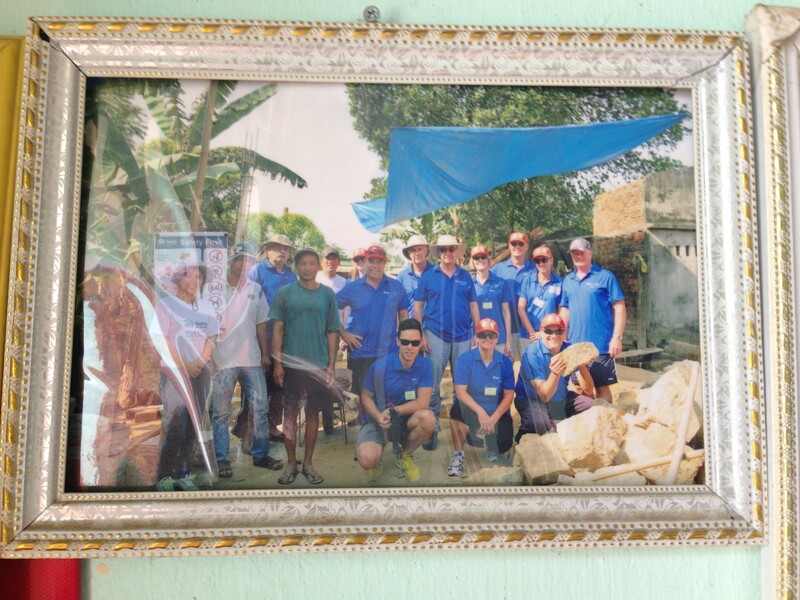 Carefully bounded by a white and yellow frame, the photograph shows several members of the Habitat for Humanity Vietnam team and the Australian volunteers who helped build Phuong and Te home during a Global Village build in 2015. More than just a picture, the photograph is a reminder of the story behind the home and the resilience of the family of four that resides here. Six years ago, Te fell on the construction site where he was working and broke both of his legs. As a result of his leg injuries, he was no longer able to keep his construction job. With the family depending entirely on her income, Phuong continues to work in the brick factory every day of the week to provide financially for the family. Compounding upon the family’s struggles following Te’s accident, the family’s old house, which had a roof made from thin plastic, did not adequately protect them from the weather patterns common to the Quảng Nam province in central Vietnam. When it rained, the family did not have a place to sleep because everything became wet and damp. In the hot sun, the plastic roof did not provide the family any relief from the heat because the inside of the home became very hot. 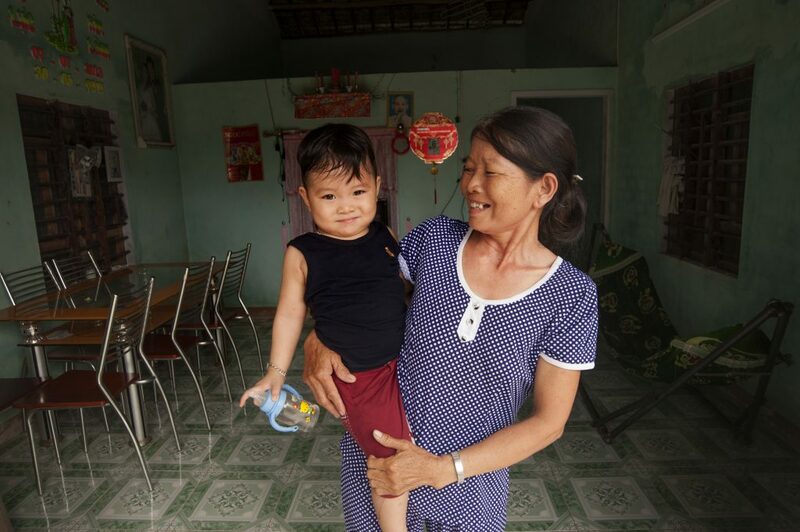 In 2015, Habitat for Humanity Vietnam selected the family to receive a donation of VND 45,000,000 (roughly USD $2000) to build a new house. In addition to the financial support, Habitat for Humanity Vietnam provided construction oversight and recruited a Global Village volunteer team to build a new home with two bedrooms, a living room, a kitchen, a toilet, and a new roof. 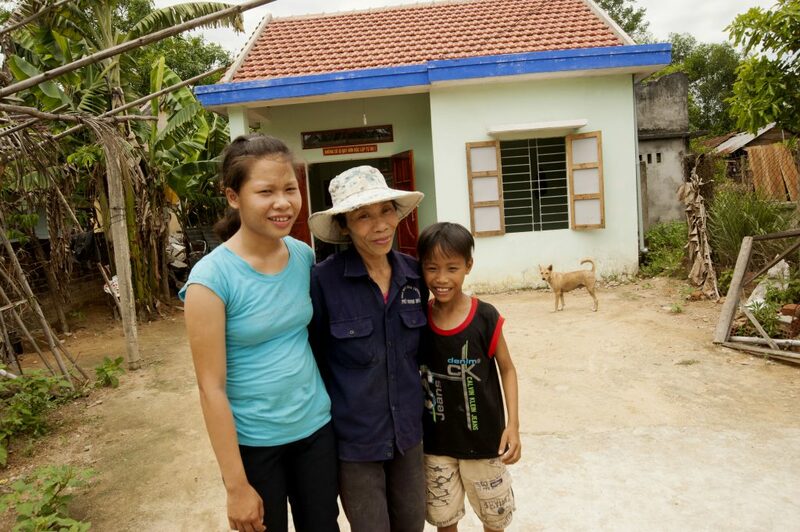 A year has passed since the new home was constructed and the family’s only daughter, Ha Thi Lanh, is now 14. Lanh recounts the times when she was able to practice her English skills with the Global Village volunteers while they worked on the home’s construction. Phuong, with the smile of a proud mother, happily shares that Lanh is a talented student. Lanh humbly smiles and says that her favorite subjects in school are history, mathematics, and literature. Her school desk is filled to the brim with the school books that she has saved throughout the years, further evidence of her deep love of learning. Lanh’s dream is to attend university to become a teacher so that she can support her parents and teach the poor children in remote communities near her home. When her younger brother, Ha Minh Loi (10), is asked what his dreams are, he blushingly looks at the ground with the youthfulness of a 10-year-old boy and says that he is not sure yet. Loi likes mathematics. A soccer ball sits under his desk, hinting at his love to play the game with his sister and their friends. 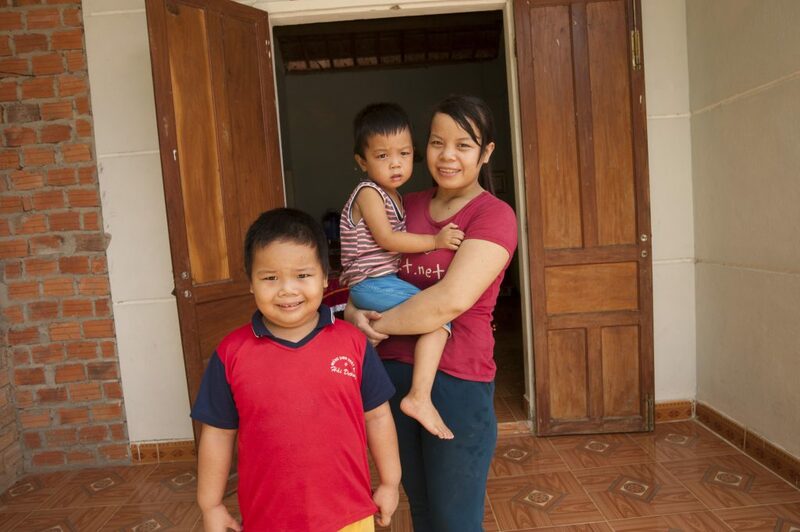 Despite the family’s small income, Phuong is happy that Lanh and Loi can continue to go to school and grow up safely in their new house. that, that is wonderful blog. An excellent read. I’ll definitely be back.